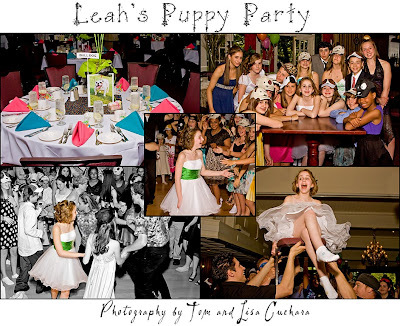 Here are some photographs from Leah's Bat Mitzvah puppy party at the Laurel View Country Club. 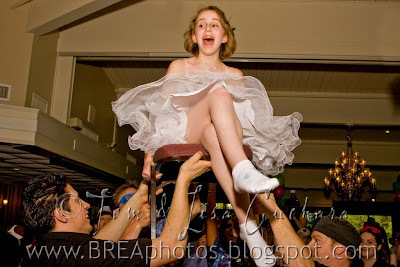 She had a great party with lots of kids, lots of dancing, tattoos, games, entertainment, etc. Wow! The theme was a dog/puppy theme and every table had an icon breed. The kids all received bags with lots of stuff inside -- puppy stuffed animals, puppy hats, socks (so the could ditch their shoes and dance around comfortably), candy, etc. 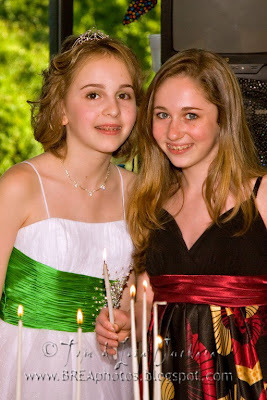 This is her with her lifelong friend Eliza. 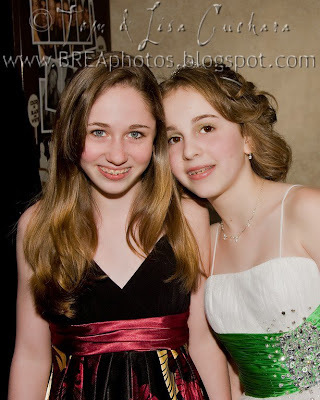 We just photographed Eliza's Bat Mitzvah and party in June. 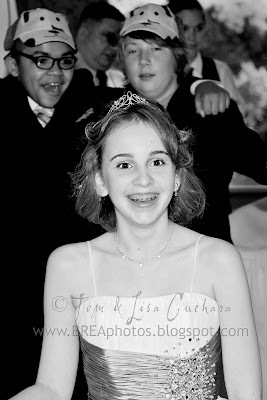 There were sooo many great photographs that we took at her party. I could not pick just a couple so I created a few collages. 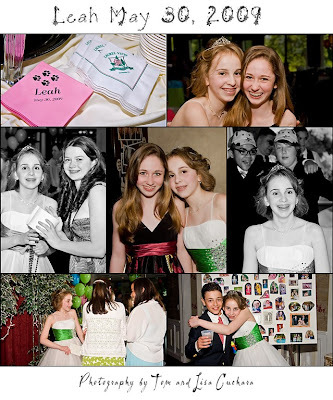 The collages help you get an idea of how exciting this event was and what a great time everyone had. Attention to detail was evident everywhere you looked -- from the t-shirts being made to the ice cream sundae station. Everyone had a good time. Leah's parents (middle) are just great, easy to work with and very proud of their children. 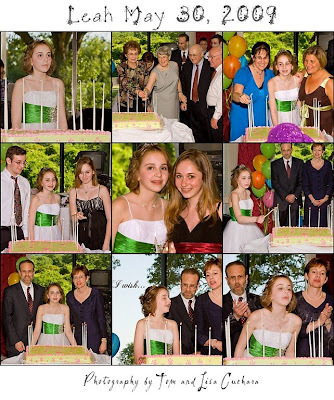 They looked on proudly as their daughter reached this milestone. 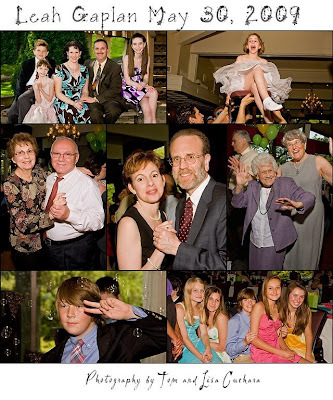 And you can see everyone from newborn to one woman in her nineties was dancing! The candle ceremony was very touching to watch, and at the end of lighting all the candles I so enjoyed watching Leah's parents look on as she made her wish and blew out her candles.